IFX_DAO indicator (Double Awesome Oscillator) is a variant of Awesome Oscillator by Bill Williams presented in his trading chaos theory. The indicator consists of two Awesome Oscillator’s lines, rapid and slow. Used in Meta Trader 4, this oscillator combines two Awesome Oscillator’s indicators which are displayed on the chart as a histogram. In case you see that indicator’s lines show mixed movement, you should trade in the direction of a slow AO’s line. 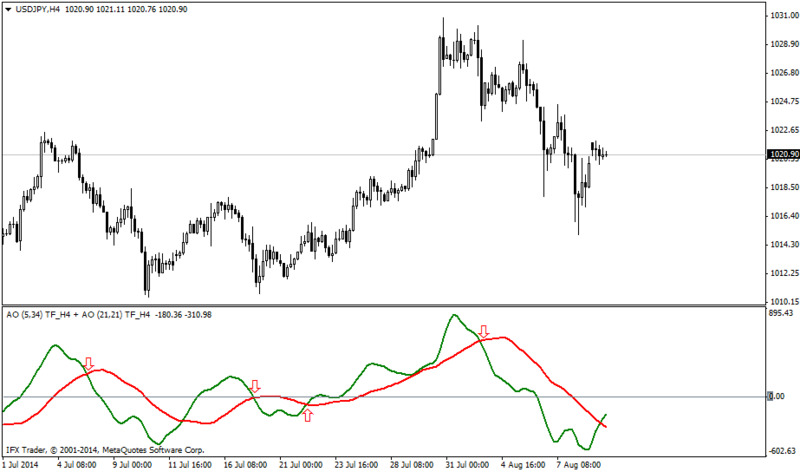 I like awesome oscillator a lot and try to use it quite often in my technical analysis.